Running a successful online business requires a lot of different factors to come together and gel. Focusing on your customers is incredibly important, and actively engaging with them can go a long way to improving sales. 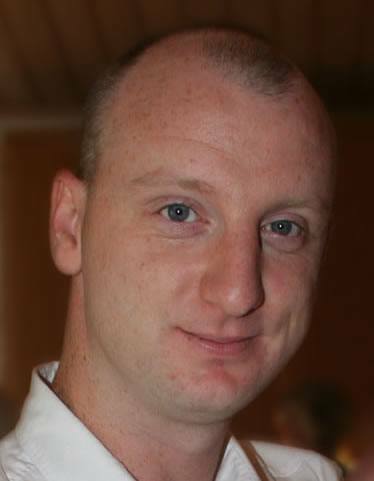 Having a live chat system on your website can increase this engagement, as you will be able to help answer any questions your visitor has (which can also help you learn where your website lacks the proper information), overcome buyer objections, and guide your potential customer to the most suitable product: all in real time! 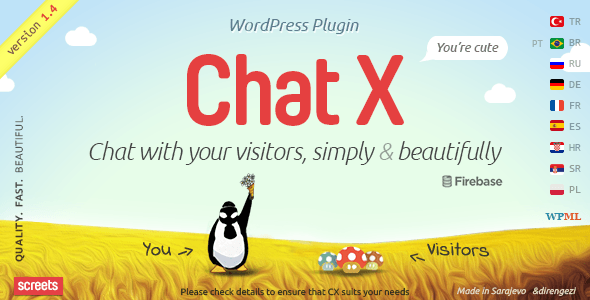 There is an increasing number of Live Chat plugins for WordPress, so much so that it can get a little difficult to figure out which is the most suitable for you. 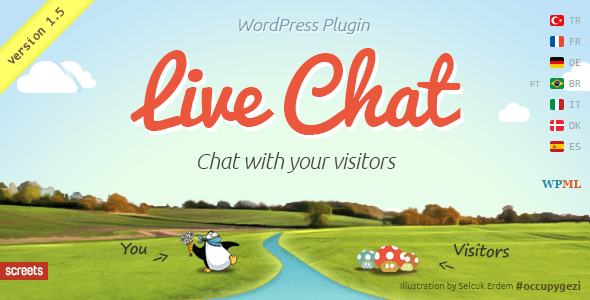 Let’s have a look at some of the best Live Chat plugins available for WordPress today! This chat plugin from Screets is definitely one of the best on the bunch! You can use it for sales and support, and it’s a simple, clean solution. It’s a single and cheap one off payment so it’s a great solution for small businesses that need a simple to use chat system with no additional costs. 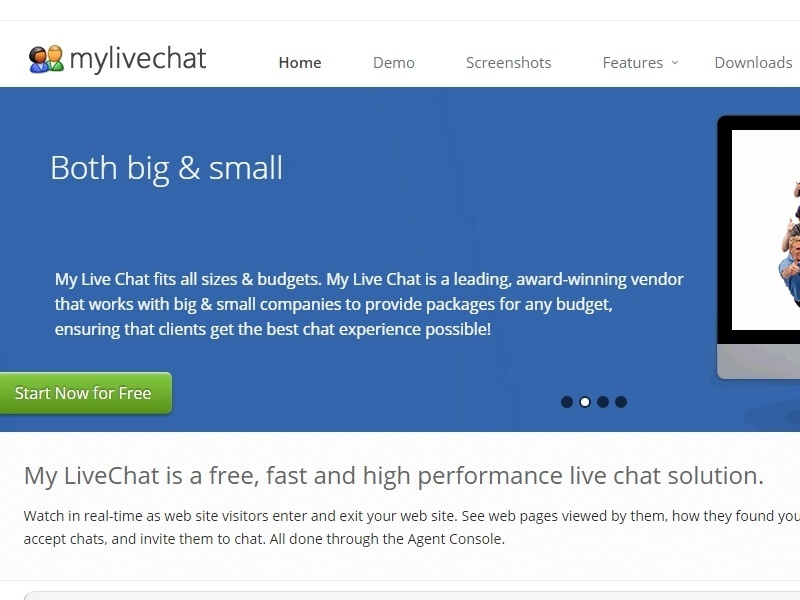 There’s no better price than free, and that’s definitely a “selling” point for WP Live Chat. 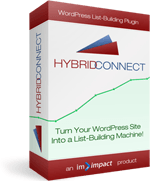 The plugin is a fully functional chat system, with no adverts, backlinks or powered by messages meaning it is suitable for professional business use. There are two version, free and premium, and as expected the free version is somewhat light on features. The premium version has all the bells and whistles you would expect and is reasonably priced ($19.95 with one year of support and updates). Liver Chat (above) is better value in my opinion, but WP Live Chat is a solid competitor, well, the Pro version is at least. The free version is great if you have a light visitor load, but a heavier load will see you begin to struggle with not being able to chat to more than one person at the same time. 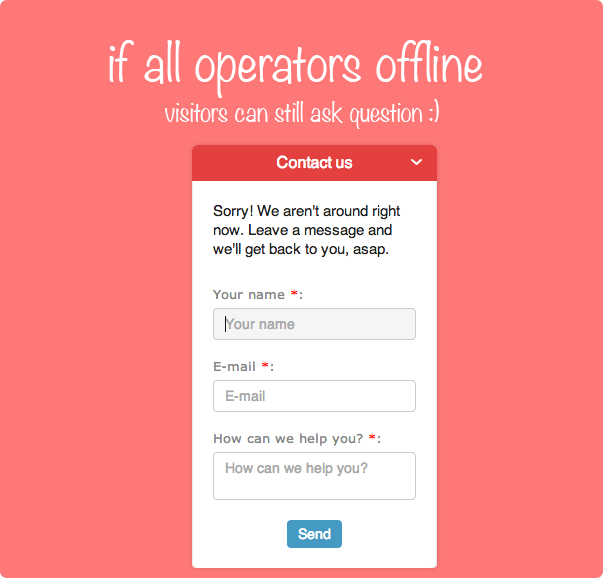 Tidio is a solid live chat plugin with many great features. The downside is that you only get access to the majority of these features for a week: at that point you need to downgrade to the free level or pay $10 a month. I want to love this plugin, and it is good, but the fact you are teased with features that you actually can’t have without paying is off-putting. However, out of all the live chat plugins that charge a monthly fee, it is the cheapest. Another quality plugin from Screet, the makers of Live Chat. This is similar to Live Chat but rebuilt from the ground up using slightly different technology. This new technology allows for faster communication (virtually instant, compared to a couple of second delay) and more concurrent users (approx. 50 instead of 5 – 10). The new tech comes with a slight downside, as your conversation are stored, albeit temporarily, on a third party server. This helps with the speed, but not everyone will go for that. Chat X also supports SSL which is a nice addition. From the premium selection, ClientEngage Visitor Chat is not the cheapest option. 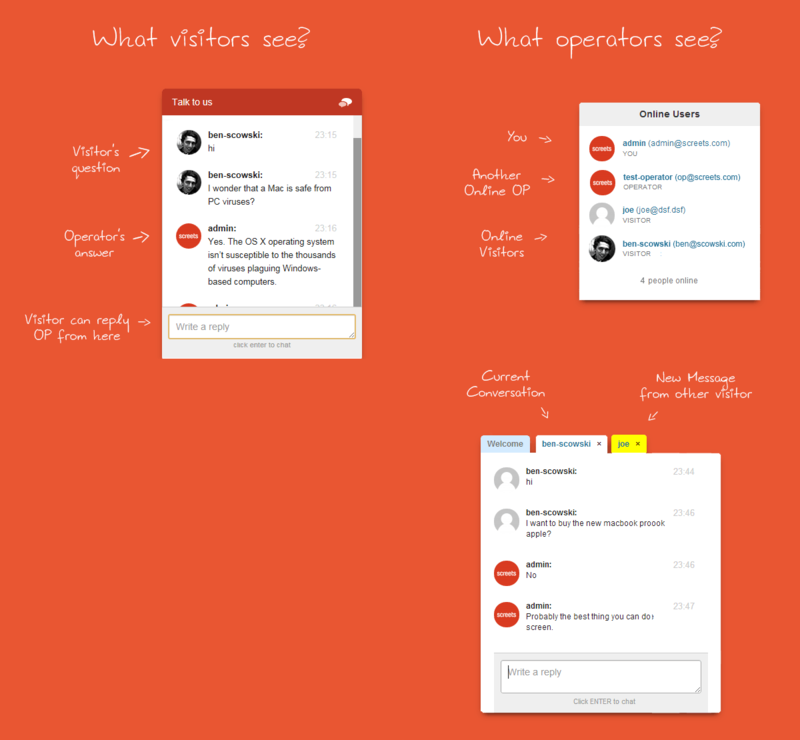 That being said, it is a fully featured live chat plugin with a few surprises up its sleeve. I love that there is a Windows client thrown in with this plugin. No need to be constantly checking the browser, the client will ping you when there is a customer wanting to chat! The admin dashboard provides a wealth of information about the customer while you’re chatting to them, which is a lovely touch – especially the info about which page the customer is currently on, very useful for ecommerce sites! 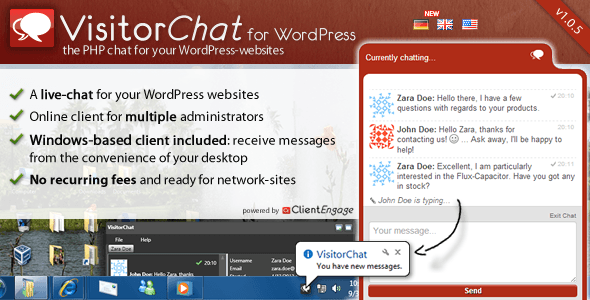 With over 50,000 active installs and a 4.8 rating on WordPress.org, you know that Zopoim must be a good live chat plugin! As with a lot of the live chat plugins on WP.org, Zopim is a freemium plugin: you get access to a basic plugin for free but if you want more, you’re going to have to pay for it. I was saddened to find out that the service is not only premium, it also costs quite a bit per user per month. While this is a quality plugin, of that there is no doubt, I’ve seen just as many features on plugins like Live Chat and Chat X that are included in a one off price where Zopim will charge you $44 per user a month. I see Zopim targeted at medium to large sized businesses, as the other plugins will probably not scale as easily and that, ultimately, will be what you’re paying for: the scalability. Add into that the analytics and reporting being tied to the higher payment tiers and this is definitely not one for small businesses. Still, it is really good! Another freemium plugin, My Live Chat differs from the rest by providing nearly all their features even in the free version. The difference comes from the number of agents you can have; the more you pay the more you can have. As a monthly paid service it does have added benefits over the pay once models, though that difference is somewhat slim. I liked the “proactive chat” option, which is kind of like a pop up for live chat! One thing I wasn’t so keen on, and in light of the many, many security blips seen in recent years, something you may not be keen on either, is the fact that the chat data is held on their server not yours. This plugin is aimed at communities rather than businesses, as it allows users on a site to chat in groups (both public and private groups). 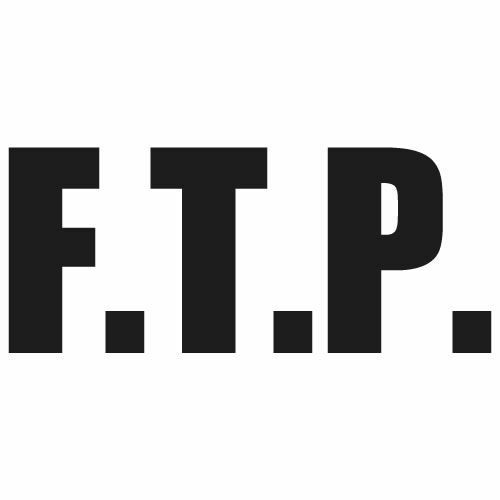 This pretty much allows old school chat rooms to be had on your website! It scores a solid 4.9 rating on WordPress.org, and has over 4000 active installs which is not to be sniffed at. If their website is to be believed, then iFlyChat is in use by a number of big businesses as well, from Coca-Cola to the European Commission! The free version allows up to 10 simultaneous users and one chatroom, and you can pay a monthly fee to increase this number. Most communities benefit from live chatting, so if your website has an active community, then you should definitely check out iFlyChat. « Jump start your internet marketing career with Human Proof Designs	» Geolocation in WordPress: What is it and why should you care?